Android users are still divided over the notch. Many mocked Apple for its quirky design decision when the iPhone X got its big unveiling last September — but now that rival smartphone makers are adopting it in droves, Android fans are warming to it. After mocking the notch in a Galaxy S9 commercial, it now seems that Samsung is warming to it, too. Samsung has filed a patent for a new smartphone that (unsurprisingly) looks a lot like the iPhone X. It sports super-slim bezels all around its edge-to-edge display, with a notch that houses its front-facing camera and sensors along the top side. Unlike the iPhone X, the device also features curved panels on its front and back, and a dual-lens rear-facing camera. There is no sign of a fingerprint scanner, which Samsung continues to offer in the Galaxy S9 — but there is a 3.5mm headphone jack. It should be noted that this is just an illustration for the patent application — not an accurate representation of a future Galaxy phone. 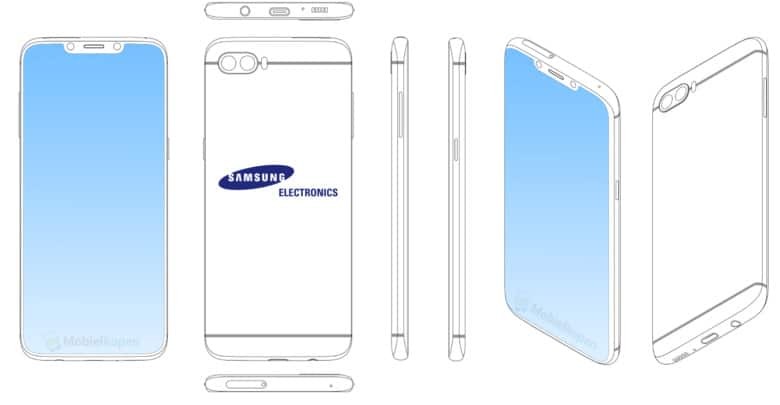 With that in mind, we shouldn’t expect next year’s Galaxy S smartphones to look exactly like this. Nevertheless, it indicates Samsung is at least exploring new designs that incorporate a notch in an effort to decrease the thickness of the bezels above and beneath its displays. It is believed, however, that this solution could be a last resort. 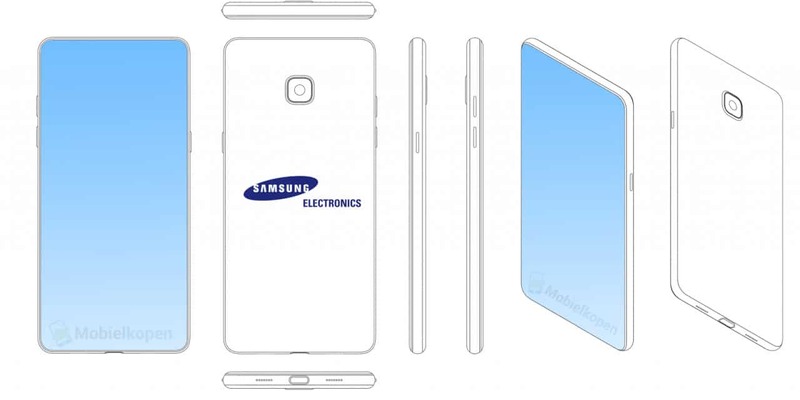 Samsung would prefer to eliminate bezels entirely. Samsung is actually working to eliminate bezels entirely. Another patent filing depicts a device with an edge-to-edge display that is completely unobstucted. The technology that would make this possible was explained in another Samsung patent filing back in January.